PUTRAJAYA, 21 November 2017 – Government Linked Universities comprising of Universiti Kuala Lumpur (UniKL), Universiti Teknologi PETRONAS (UTP), Multimedia University (MMU) and Universiti Tenaga Nasional (UNITEN) today further enhance their network through the signing of a Memorandum of Agreement in conjunction with GLU Management Forum 2017 held in Putrajaya today. The forum provides an avenue for sharing of experiences, expertise and knowledge by the GLU top management on strategies and initiatives in supporting and spearheading the National Education Agenda.For the 1st part of the forum, Yang Berbahagia Datin Paduka Ir. 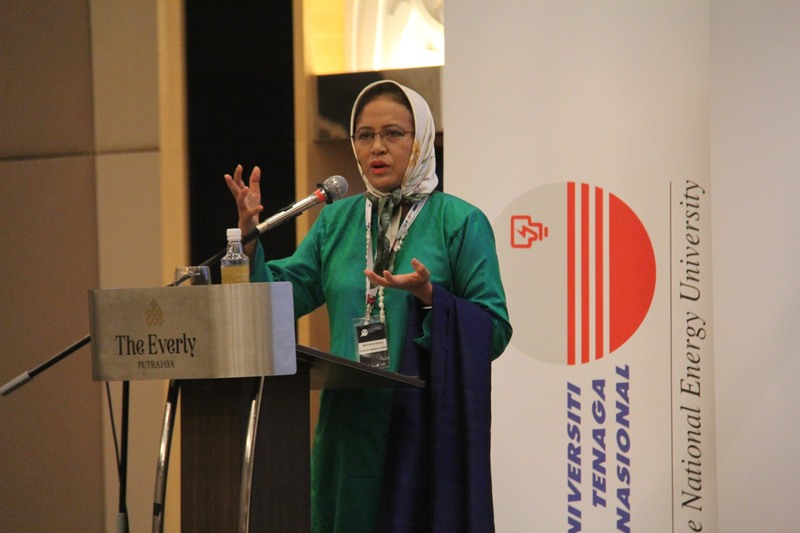 Dr. Siti Hamisah Tapsir delivered a keynote address entitled ‘Higher Education 4.0′ followed by interactive roundtable sessions on “The world of Integration and Connectivity Vis-à-vis Industrial Revolution 4.0 in spearheading Scholarship of Education”. The forum continued with interactive workshops focusing on teaching and learning, research and innovation as well as student development. Together, the GLU’s have vast potential to grow and become Malaysia’s Leading Education Group and a Global Education Player. The MOA signing will enhance the GLUs collaborations in developing an ecosystem to move forward and eventually supporting the national education aspiration as outlined in the Malaysian Education Blueprint for Higher Education, which is to be a world-class knowledge economy – and regional education hub. The capital letter ‘A’ as an abbreviation from the initial letter of Alliance. It signifies ‘quality’ in result oriented initiatives in improving higher education through industrial input. The ‘A’ is also designed to illustrate the numeric ‘4′ at a second glance, referring to the four initial members in the alliance; namely Universiti Teknologi PETRONAS, Universiti Kuala Lumpur, Multimedia University and Universiti Tenaga Nasional. The outer circle emphasizes or brings immediate attention to the letter ‘A’ or ‘Alliance’. It connotes sense of ‘consensus’ and ‘completeness’ in the world of tertiary education. The logotype is also designed in the fusion of 3 colors; a reflection of the ‘house color’ of participating Universities. Blue reflects stability, confidence and intelligence of the alliance. Red symbolizes pragmatism, strength and determination. Gray provides the effect of balance and composure to the overall logo design.